Once I had the tip rib squared away, I moved to the other end and riveted on the E-705 end rib to the E-702 spar, making sure to face the flush rivets in the proper direction so as to not interfere with the WD-605-1-L elevator horn that I riveted next. These all were pretty straight forward, and I used my squeezer to get a perfectly set rivet on them. 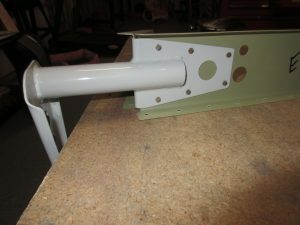 Before inserting the skeleton, I popped in some plastic snap bushings into the holes in the spar for the trim servo jack shaft and wiring. Its easier to do now than when the skin is closed up. 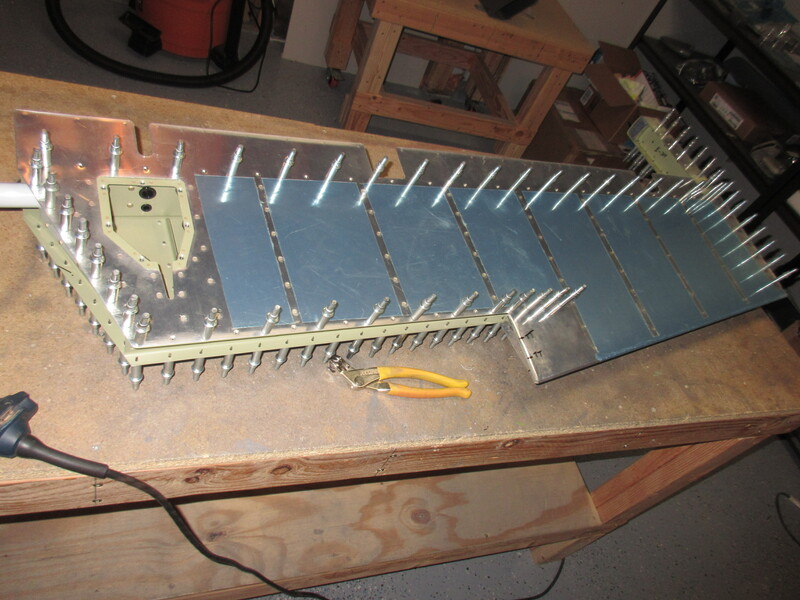 Now, its time to mate the skin with the skeleton, and cleco it all together for one last check before final riveting. I gently inserted the skeleton into the skin, and lined everything up and clecoed every hole. 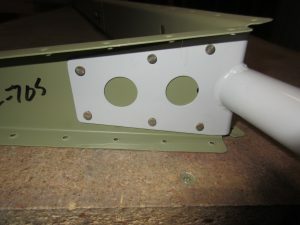 Once I had it all clecoed I used a straight edge against the skin to check its straightness, both on the stiffeners and between the stiffeners. 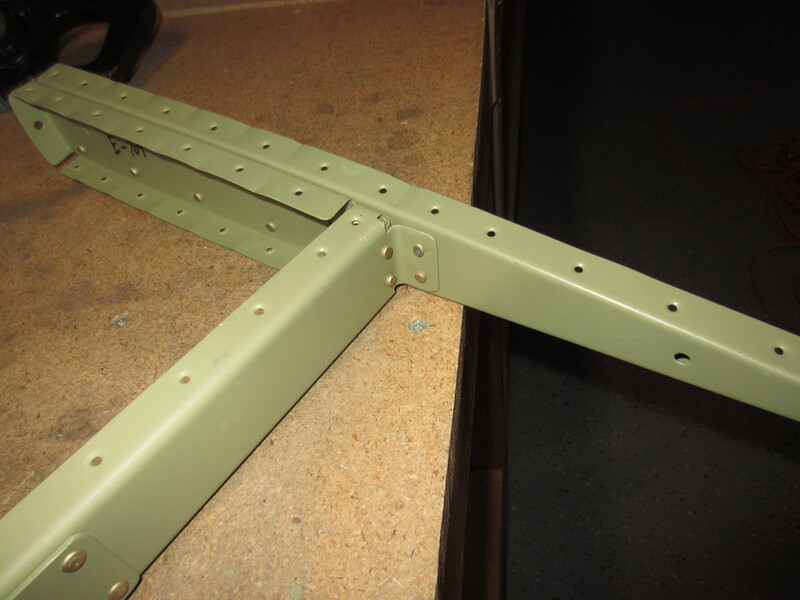 Then I removed every other cleco to make riveting easier. I only riveted the bottom skin for now. I will leave the top skin free so I can put pro-seal on the stiffener ends before closing it up for good. 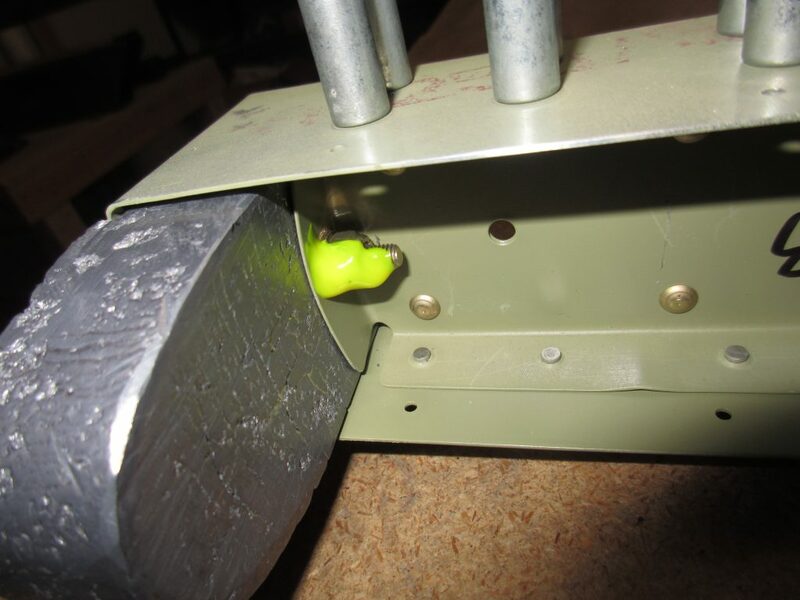 I closed the bottom skin by inserting a rivet in every other hole and squeezing it. 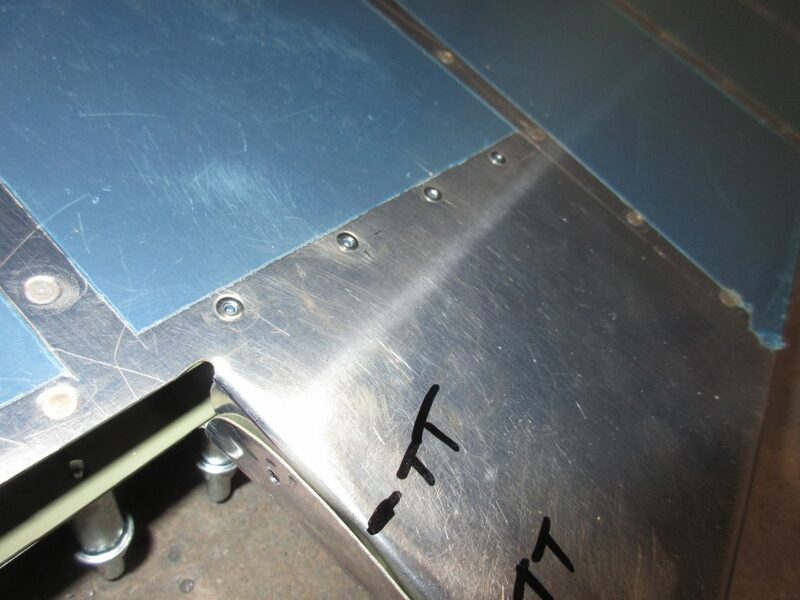 Then I removed the clecos, and clecoed the holes they were in. 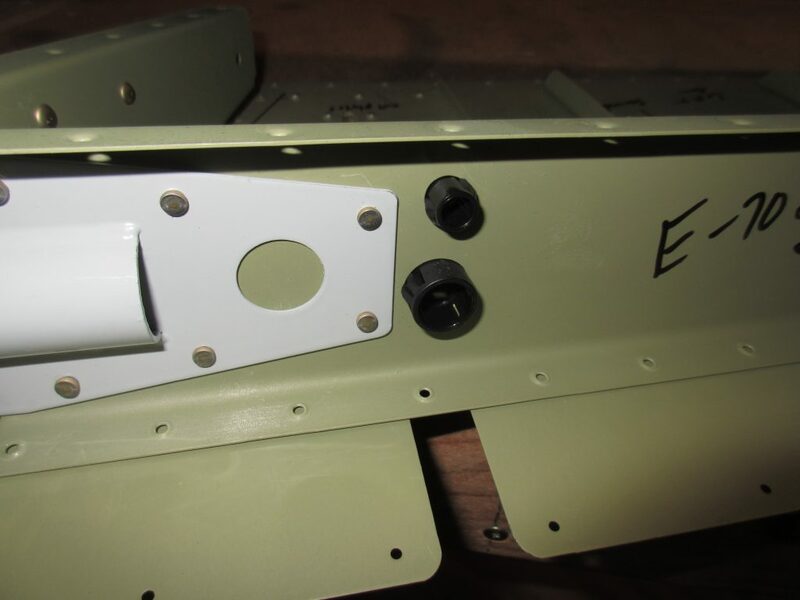 On the left elevator we have to use 4 blind rivets on the outboard end of the E-606PP spar, as there is no way to get to it otherwise. 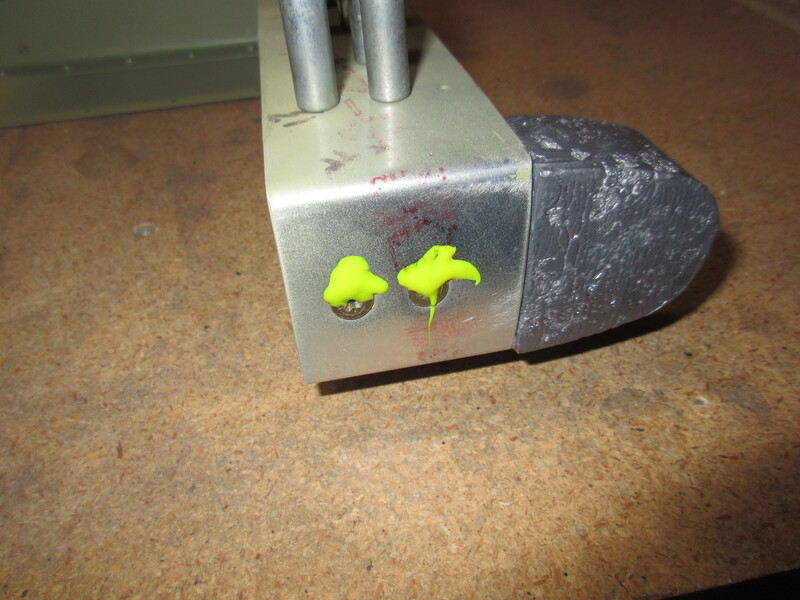 I used MK319BS blind rivets in those last 4 holes, and made sure they were sitting as flush as possible. 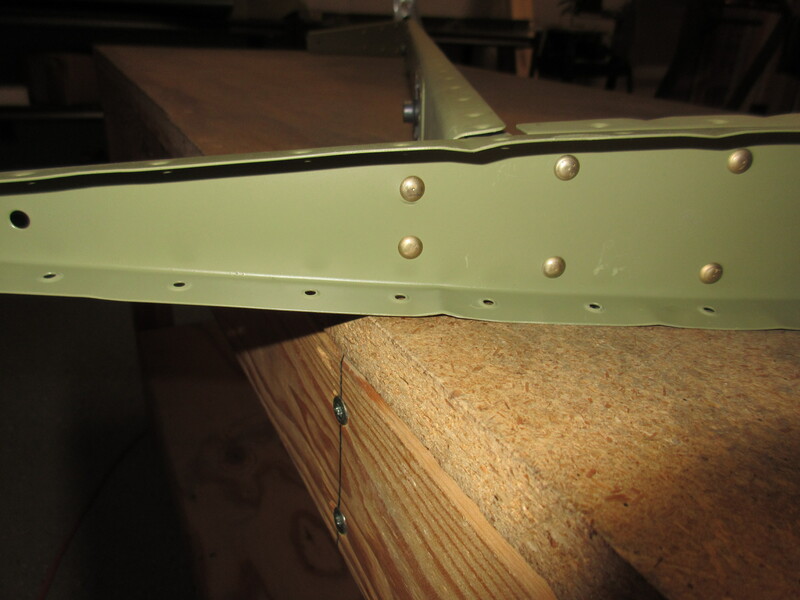 They were not 100% flush like the AN426 rivets, but they ended up flush enough to make me happy. 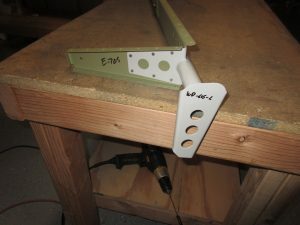 With that being done, all that remained was to mark and drill the holes on the tabs that I bent a few nights ago. 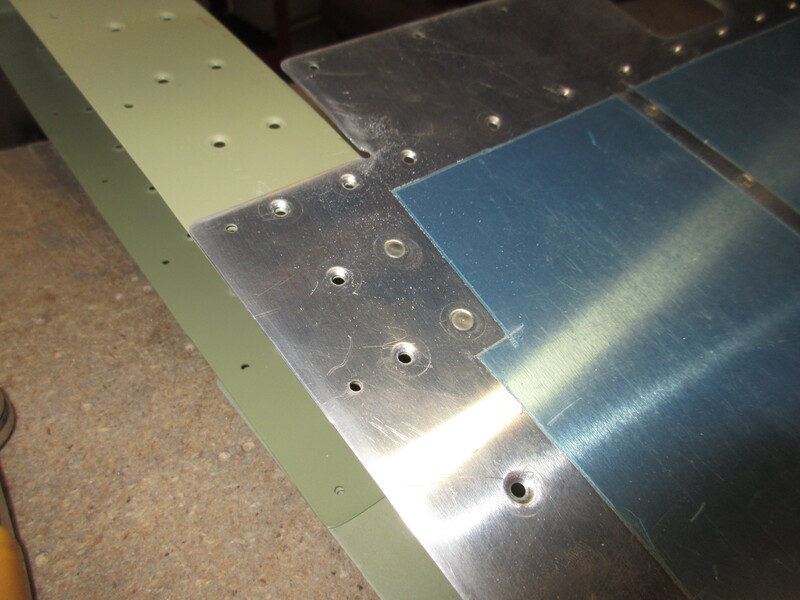 Van’s doesnt have these holes pre-punched, because its impossible to know where they’d end up after the bending, so we have to be creative. 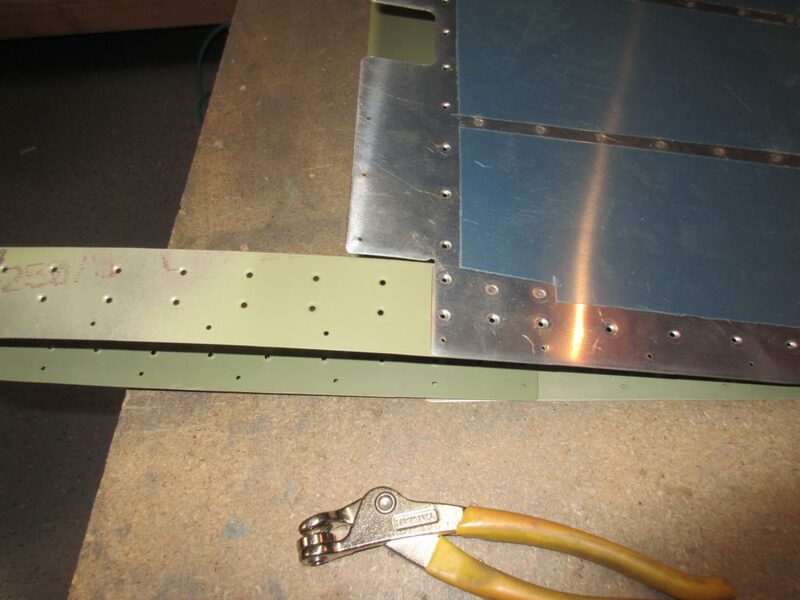 Van’s does tell us to make sure the rivets from the trim tab do not interfere with the elevator skins, so I put the trim tab in its location, and marked where the pre-punched holes for it were on both the trim tab itself, as well as the elevator skin, seen in the photo above. 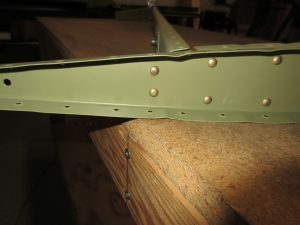 I then decided to place my elevator tab rivets between where the trim tab rivets go, so as to give me plenty of clearance. 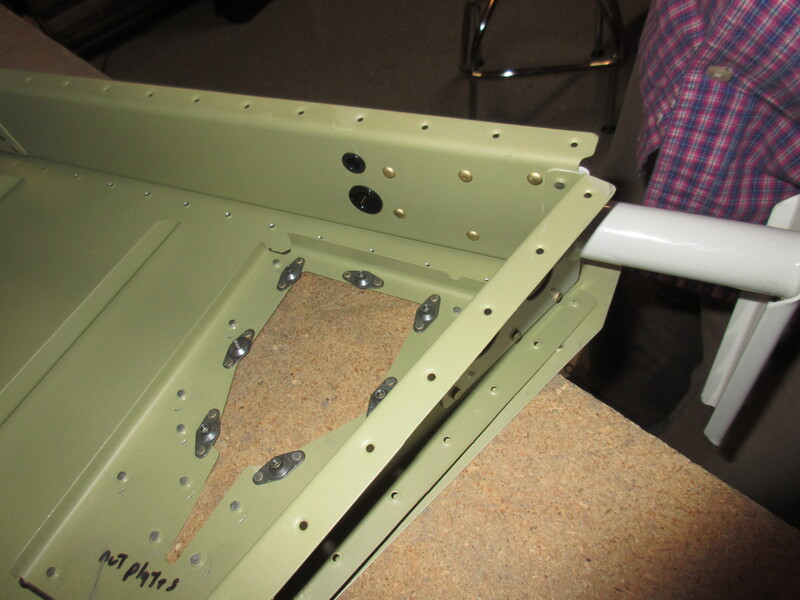 I then drilled the holes with a #40 bit, followed by a #30 bit to fit the CS4-4 blind rivets. The last bit of work for the night was to bolt on the E-714 counterweight. I picked our the screws, washers and nuts as called for by the plans, ran them through the counterweight assembly and then torqued them down to 30 inch/lbs of torque as specified in the manual. Then, I gobbed on some torque-seal to make annual inspections easier in the future. That finished up the work for tonight. Here’s a quick time lapse of the work to make the FAA happy that I actually completed the work, and a photo gallery of all the photos below that.